A closer look at Saligo Bay on the west coast of Islay with the beach and the dunes from the air, compared to the wider view of Saligo Bay and around from the air. Smaull and the hills behind it visible in the distance. And you can spot me on the beach as well. 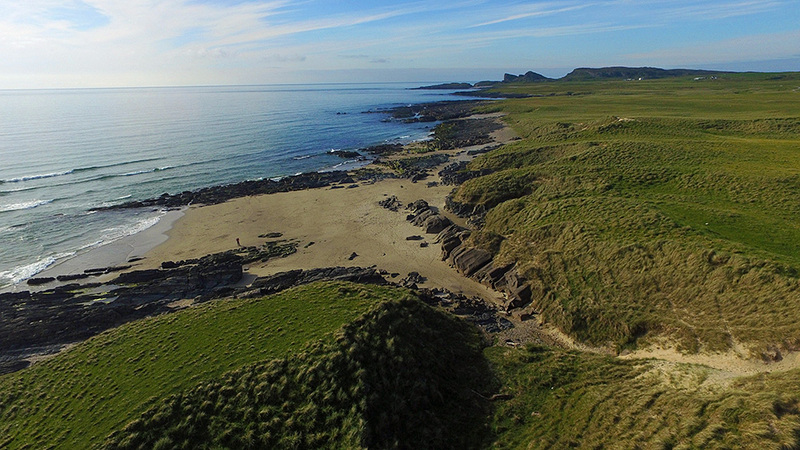 This entry was posted in Beaches, Islay from the air, Landscape, New Post, Sunny Weather and tagged Islay, Opera House Rocks / Sleeping Giant, Rhinns of Islay, Saligo, Saligo Bay, Smaull by Armin Grewe. Bookmark the permalink. I hate pictures like that! Once met a guillemot on the beach there and momentarily thought, from a distance, that it was a lost penguin!